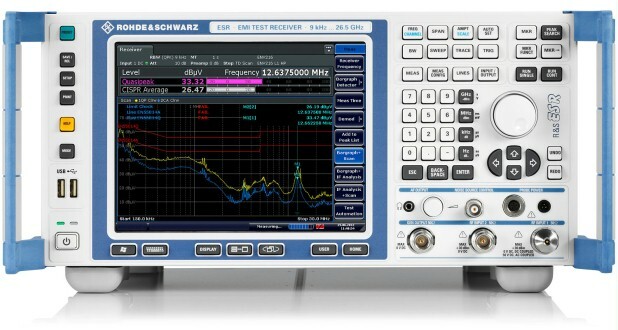 TheR&S®ESR is an EMI test receiver for the frequency range from 10 Hz to 26.5 GHz and complies with the CISPR 16-1-1 standard. 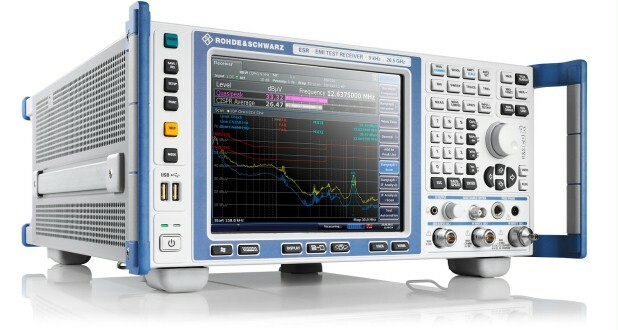 It measures electromagnetic disturbances with the conventional stepped frequency scan or – at an extremely high speed – with an FFT-based time domain scan. 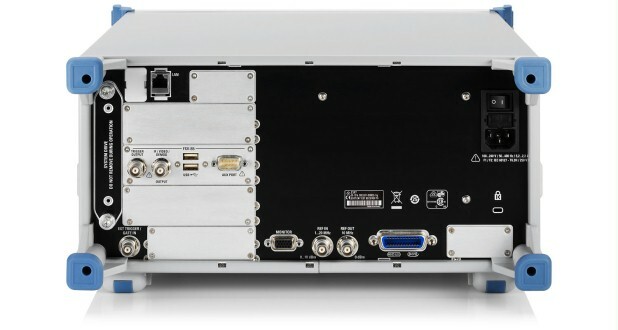 The R&S®ESR is an EMI test receiver for the frequency range from 10 Hz to 26.5 GHz and complies with the CISPR 16-1-1 standard. It measures electromagnetic disturbances with the conventional stepped frequency scan or – at an extremely high speed – with an FFT-based time domain scan. At the same time, the R&S®ESR functions as a full-featured, powerful signal and spectrum analyzer for lab applications. Featuring realtime spectrum analysis capability with a wide range of diagnostic tools, the test receiver also enables detailed analysis of disturbance signals and their history. The R&S®ESR comes with clearly structured menus and an intuitive touchscreen, making it very easy to operate in any mode.